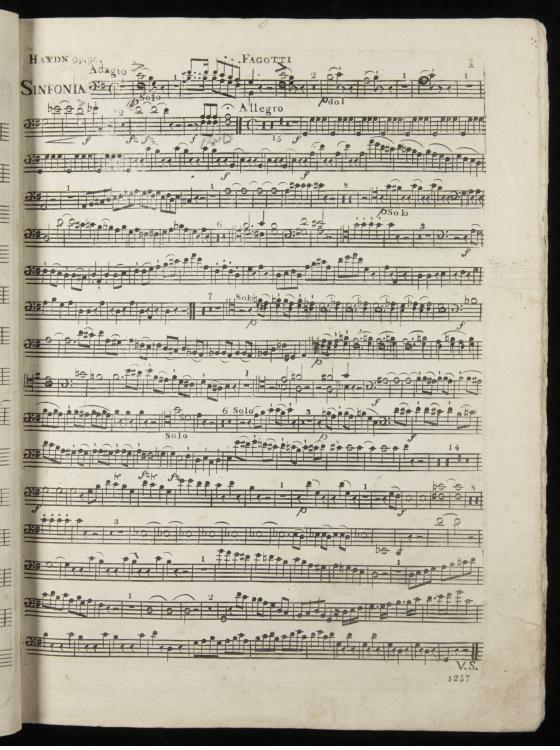 This bassoon part for Haydn’s Symphony no. 100 is bound in a volume of bassoon parts for several orchestral works, for use by a musician in performance. Similar volumes are present for second violin, viola, bass, basso obbligato, flute, oboes, and horns, with some single parts for other instruments; volumes for first violin and clarinets are missing. Each of these volumes contains parts for Haydn’s symphonies nos. 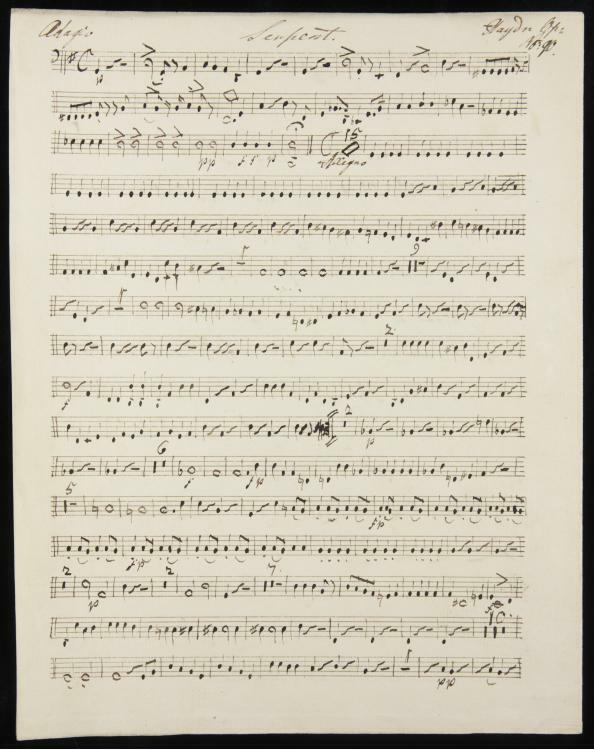 97 and 100, as well as parts for symphonies of Ignaz Pleyel and works of other composers. 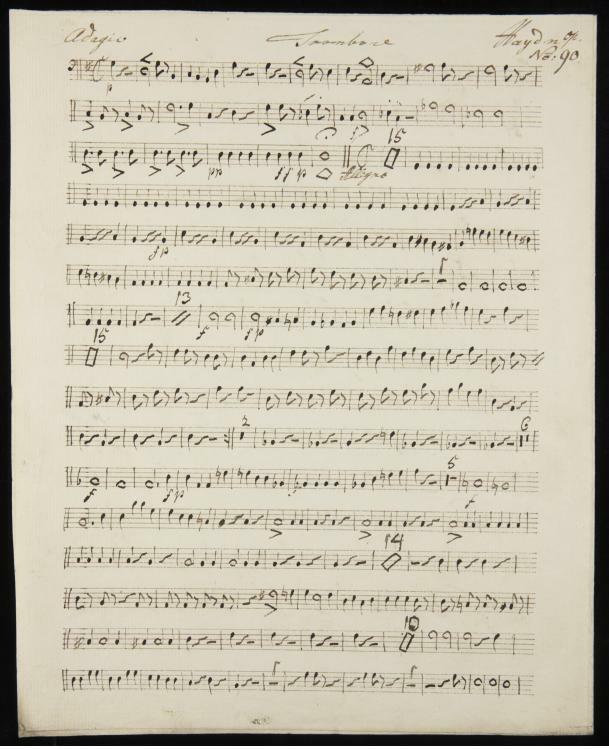 Among additional parts accompanying the volumes are manuscript parts for serpent and trombone, two bass instruments that were not present in Haydn’s original instrumentation. The serpent, a wind instrument named for its curved shape, predated modern valved brass instruments and was commonly used by eighteenth-century military bands. These added parts for serpent and trombone show both similarities and significant differences in comparison to each other and to the printed bassoon part, itself showing revisions in manuscript.